Have you seen all those videos all over Facebook and other social media outlets where somebody’s hands are making some delicious meal or dessert? They always look delicious and so easy to make. Well, Mother Nature is mixing up a not too friendly recipe for our lawns right now. Start with a beautiful fescue lawn. Then, add some high humidity, several nights in a row of temperatures over 65 degrees Fahrenheit and top it off with excessive moisture! Blink your eyes and …BAM! You have Brown Patch Disease! Your lawns worst nightmare! High Night Time Temperatures – Temperatures over 65 degrees at night for several nights in a row. 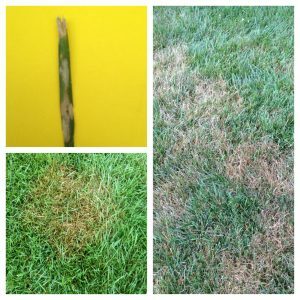 When these three conditions are present Brown Patch Disease can become rampant! Your lawn can go from beautiful, lush and green one day to large areas of brown unsightly turf literally overnight. This is extremely frustrating and disheartening for both homeowners and for lawn professionals like us at Classic Lawns. It feels like all the hard work and effort we have put into providing a beautiful, dark green lawn has been wasted! BUT WAIT!!! We have some good news for you! Although Brown Patch Disease can make your lawn look awful, it rarely kills your grass and it is only temporary! 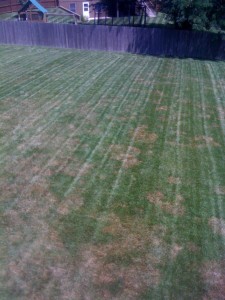 Once the conditions that are causing the disease go away, your lawn will recover! 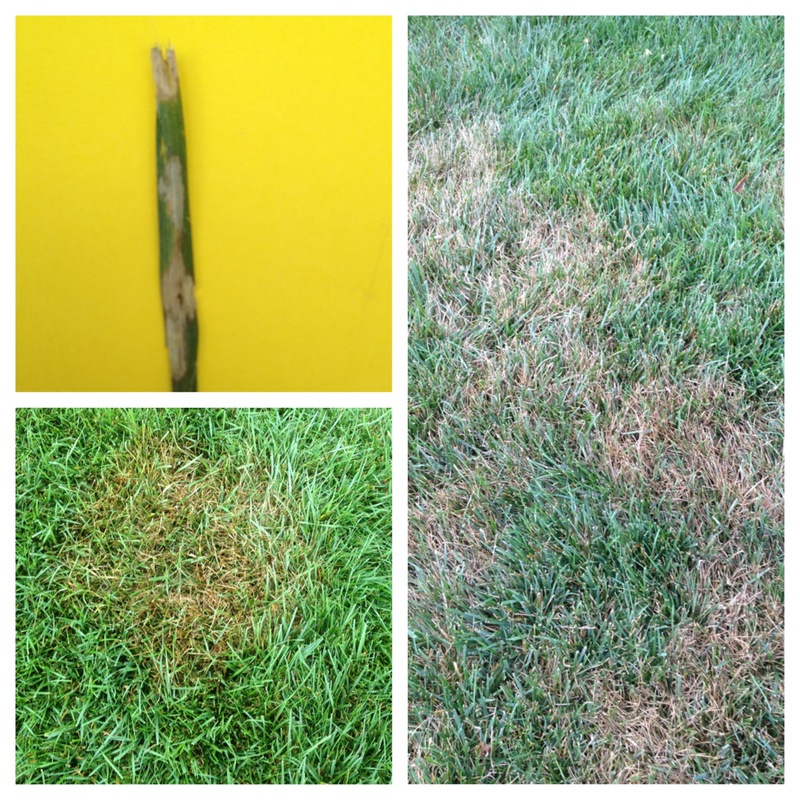 At Classic Lawns, we like to compare Brown Patch Disease to catching a cold! 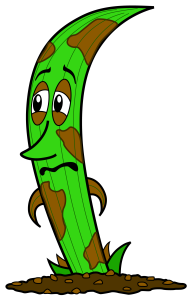 When you have a cold you look bad, you feel miserable and you think you are going to die! While it is possible, people rarely die from a cold. You struggle through the symptoms and eventually you feel and look good again. 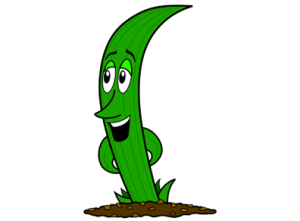 Your lawn will recover too! Mow as high as you can! Mow at 3.5”-4.” In the Midwest, Fescue and Bluegrass lawns are healthier and happier when they are mowed higher. Make sure your mower blade is SHARP! You should sharpen your blade at least 3 times a year. Classic Lawns suggests you sharpen your mower blade at the beginning of the spring, summer and fall seasons! A dull mower blade rips the grass instead of cutting it causing many more openings for the disease to enter the plant. Water, but ONLY water between 2AM-10AM!!! As a last resort, Classic Lawns can apply a fungicide to your lawn to help control Brown Patch Disease. We do have some good fungicides available that can help minimize the disease and help your lawn recover quicker. We usually steer customers away from using fungicides because they are expensive and they do NOT last very long. 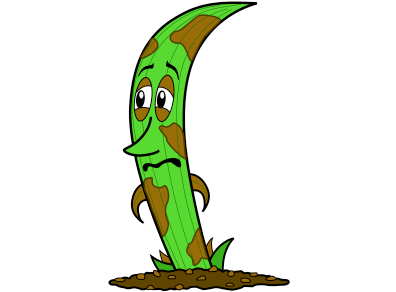 Plus, like we have mentioned earlier your lawn almost always recovers on its’ own…eventually. However, if you just can’t take the brown spots in your lawn and want it fixed ASAP, Classic Lawns can apply a fungicide to help. The cost for a fungicide application is 2 times your regular application price. So, if your regular lawn application is $50.00, a fungicide application would be $100.00. The fungicide treatment lasts about 21 days and it can take 1-3 treatments to control the Brown Patch Disease! Core Aerate and over seed your lawn in the fall with a better variety of Fescue Seed! At Classic Lawns we are ALWAYS going to recommend a Fall Core Aeration for you lawn! It is one of the BEST extras you can do for your lawn. A Core Aeration loosens compacted soil and helps air, water and nutrients reach the roots of your lawn. All of these benefits of core aeration help when trying to prevent Brown Patch Disease! Once you have core aerated your lawn in the fall, it would be a GREAT time to over seed with a newer variety of Fescue seed. Every year the industry comes up with a newer and better variety of Fescue that is less prone to disease. If you haven’t over seeded your lawn in few years, this fall would be a perfect time! We understand how frustrating it is to have any problem with your lawn let alone one that makes your lawn look as bad as Brown Patch Disease can. We also understand that you can follow all of our instructions perfectly and still get Brown Patch Disease. At this point, we recommend practicing patience. The weather will change. The disease will go away. Your lawn will most likely recover and Classic Lawns will be here to help you through it all! Call us anytime for help or with any questions!